Epic storyline. Archery. Horseback riding. Stunning landscape. Throw all of these elements together and you may have a great film, but you also have what can be an awesome video game. Disney Interactive just announced this morning that it is currently developing Brave: The Video Game and is targeting the summer for its release on the XBox 360, Playstation 3, Wii, Nintendo DS, and the PC and MAC. After the jump, check out the official logo and all the details on the game revealed in the press release. BURBANK, Calif. — (March 19, 2012 ) – Disney Interactive Media Group announced today that “Brave: The Video Game” is currently in development for PlayStation®3 computer entertainment system, the Xbox 360® video game and entertainment system from Microsoft, Wii™ system from Nintendo, Nintendo DS™ handheld system and Windows PC/ MAC. Inspired by “Brave,” the upcoming Disney•Pixar animated fantasy adventure movie, the video game invites players to run, jump and battle their way through the rugged landscape of mythical and mysterious Scotland. By using their wits and bravery, gamers will also be able to wield a sword and bow to defeat fierce enemies, break a magical curse and save a kingdom. The video game will release summer 2012, in conjunction with the film. A third person action-adventure, “Brave: The Video Game” expands the tale beyond the movie’s storyline. 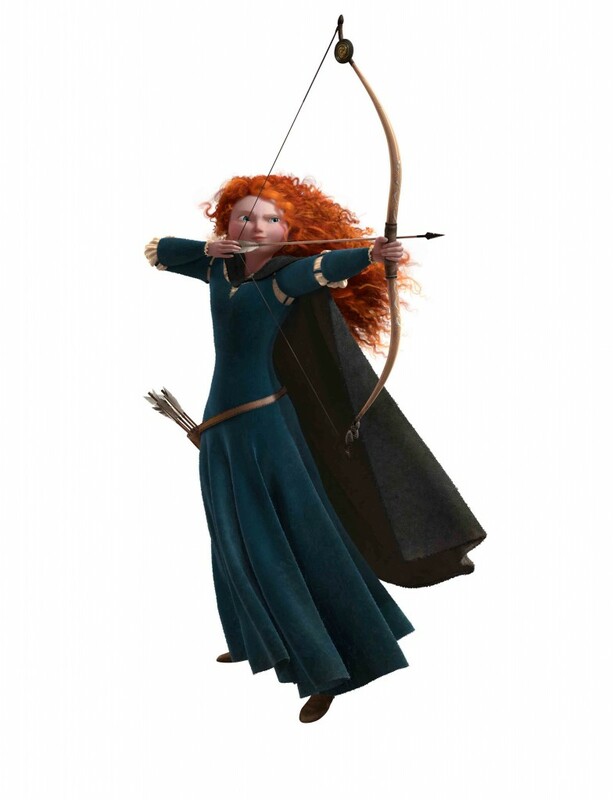 Gamers can play as Merida, an expert archer and heroine, and in the console versions, players can also play as other entertaining characters from the film. In addition, they will be able to go on quests through a magical world and solve puzzles to uncover secrets. The console versions of “Brave: The Video Game” offer a variety of gameplay, including single-player, co-op for family and friends, and a special Bear mode, where players will be able to play as a bear. Several new opponents created exclusively for the game will challenge the player throughout the experience, culminating with an ultimate boss battle to complete the adventure. The Nintendo DS game is filled with its own exciting missions and a myriad of characters to engage single players. “Brave: The Video Game” launches Summer 2012 for PlayStation®3 computer entertainment system, the Xbox 360 video game and entertainment system from Microsoft, Wii™, Nintendo DS™ and Windows PC/MAC. Disney Interactive Media Group (DIMG) is one of the world’s largest creators of high-quality interactive entertainment across all current and emerging digital media platforms. Products and content released and operated by DIMG include blockbuster mobile, social and console games, online virtual worlds, and the #1-ranked web destination Disney.com and the Moms and Family network of websites. Pixar Animation Studios, a wholly-owned subsidiary of The Walt Disney Company, is an Academy Award®-winning film studio with world-renowned technical, creative and production capabilities in the art of computer animation. Creator of some of the most successful and beloved animated films of all time, including “Toy Story,” “Monsters, Inc.,” “Finding Nemo,” “The Incredibles,” “Ratatouille,” “WALL•E,” “Up” and “Toy Story 3.” The Northern California studio has won 29 Academy Awards® and seven Golden Globes®. Its twelve films have grossed more than $6.5 billion at the worldwide box office to date. The next film release from Disney•Pixar is “Brave” (June 22, 2012).